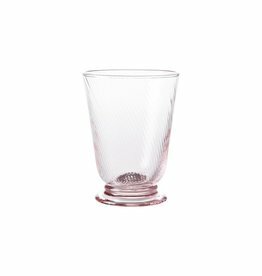 From Juliska’s Florence Collection- Redesigned for ease of use, the historic Bohemian 'Prunt' motif of indulgent droplets on this substantial tumbler are opulent, fun and irresistibly tactile. Juliska Amalia Set/2 Champagne Flutes Still needs 2! From Juliska’s Carine Collection - Like the cast of dappled sunlight through crystalline waters, the clear beauty of this sturdy sparkler is perfect for parties yet eminently useable for day-in, day-out use.